You’ve heard of breath freshener… But what about skin freshener? What about a product that kills germs without leaving you feeling sticky afterwards? 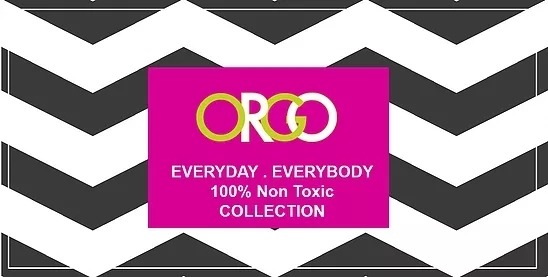 We at ORGO understand the importance of keeping fresh and germ-free while on the go, which is why we have mixed those two elements together to create the Everyday Everybody 100% Non-Toxic Organic Mint Sanitizer Spray. The irresistible scent of mint leaves your skin tingling and sanitizes at the same time, without harming your skin with toxic ingredients. This US Weekly Magazine featured product fits in perfectly with the rest of our Everyday Everybody Collection with its wholly organic ingredients and easy skin temperance. The combination of freshness is pleasing to every sense, and every person. If you like our Organic Mint Hand Sanitizer you will absolutely LOVE Organic To Green’s CLEAN Lavender Lemon Hand Sanitizer, winner of 2017 Women’s Health Beauty Awards!